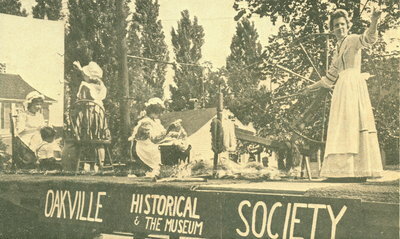 The information on this page is credited to: Oakville's 100 Years, 1857-1957 Centennial Souvenir Brochure. 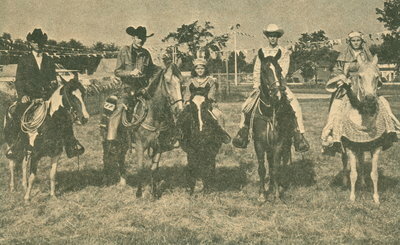 "One hundred years of growth and development, at a pace faster than that which has been averaged in Canada since the Second World War, have made of Oakville a community vastly different from that which George King Chisholm (son of founder William Chisholm, and Oakville's first mayor) looked on at the time of Oakville's incorporation in July of 1857." 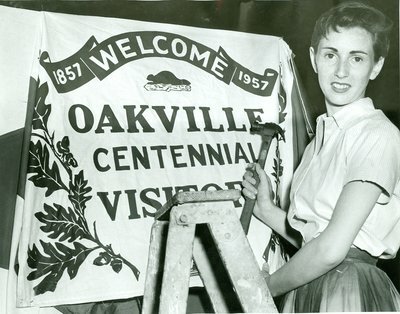 In 1957, the town of Oakville was consumed by a frenzy of activity generated by various Centennial celebration preparations. 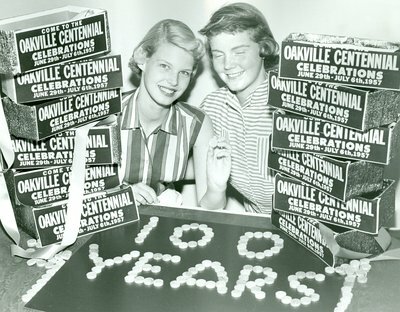 The people of Oakville were filled with civic pride, and ready to celebrate the 100th birthday of their beloved town. The Centennial Parade was a great success. 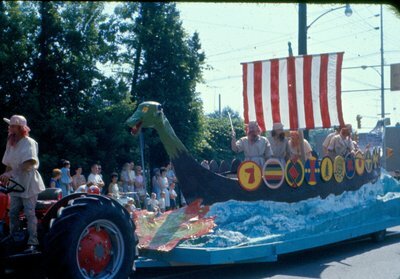 Many fun and colourful floats lined the streets of Oakville, welcomed by the cheers of the townspeople. 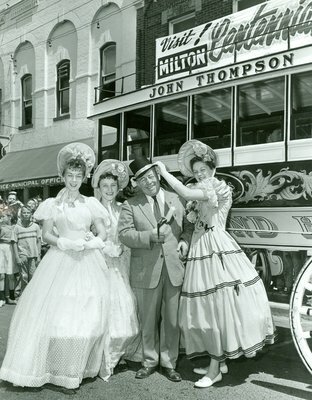 Below is a gallery of images taken during Oakville's Centennial celebrations.